In this six minutes to success review I will provide you with the information about this very famous program created by Proctor Gallagher Institute for helping people to achieve their desired goals in life. I have been a very big fan of Bob Proctor ever since I started my personal growth journey. The first time I came to know about Bob Proctor was when I saw him in the movie “the secret”. Although now I follow many of the casts from that movie but Bob was the first person whose work I explored after watching it. He is probably the most experienced person alive in the area personal development. From what I have known about Bob Proctor he has already achieved everything in his life of which every man dreams. One may ask here-Then why does he charge people to deliver this knowledge? Well, I didn’t plan to talk about this here but, there a simple fact known to every successful man- People don’t value things for which they don’t have to pay any price. What I find so special in Bob’s work is that one can feel that he not only teaches the success principles but he lives it and he has been doing this from about more than 50 years. I think knowing this is enough for anyone to reckon that there a lot about life that we could learn from this man’s work. One of such awesome works by Bob Proctor is his well known six minutes to success program. So, let’s take a closer look at it. This product was the idea which came as a solution to Bob’s one big problem that he was unable to reach numerous people who were in need to get his advice on their life situations. Every now and then he felt sorry for people who wanted a few minutes from his schedule but, he was too busy to attend them. Then he found a way to reach them with this six minutes to success program.This program sends all the subscribers a 6 minute long (sometimes less) video everyday where either Bob Proctor or Sandy Gallagher talks on various subjects like human potential, wealth, relationships, health, universal laws etc. 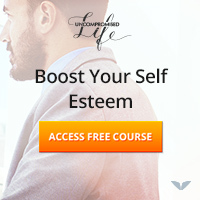 The intention of this program is to supercharge your mind with great ideas every morning. 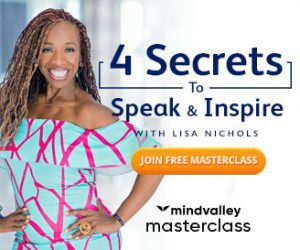 Your sincere participation in this program will automatically lead you to the understanding of the perfect formula to thrive in any area of your life. What makes this program so special is its daily reminder which makes you to take action and make use of the knowledge provided.It works like a mentor who motivates, pushes and guides his pupil time to time. I am writing this based on what’s available right now; they keep updating it so, please check their main website to know what they are offering presently. The success start up kit is designed for preparing you before you begin to pursue your dreams using what the program will teach you. This kit lays the foundation work for you to maximize the benefit you will get from this product. This start up kit is a series of 4 videos that you must watch. I would emphasize that you must set 6 minutes daily to watch these videos and make it a habit.But if you are too busy to watch them then they also provide audios that you can listen while performing the daily activities that doesn’t require much of your conscious attention. You will also get the transcripts of these daily lessons. As I have said before, I am highly inspired by Bob Proctor-A person in his 80s with energy of a youngster. Among his various programs this is what I consider as the best one because every day you get to learn something new. This product is definitely not for someone who views such information as a magic formula to achieve success overnight, instead it is made for someone who understands the true human potential and want to harness the power of his mind with proper tools. You can also mail me with your life queries at hari@zerotoinfinitude.com, I will be very happy to help you.